A killer set of tracks by one of the best piano players that Blue Note ever recorded – and a great trio outing that sparkles with soulful intensity! 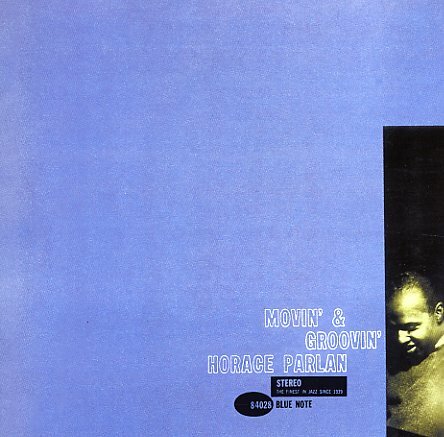 Even in this more traditional format, Horace Parlan's still one of the most inventive players of his generation – working with a sense of bottom groove that makes even familiar tunes move nicely, and hitting an approach to his solo work that trades flowery touches for earthier tones that often dance around each other with a focused sound that's really unique! Dark and blue tones echo out wonderfully throughout the set, and Horace's piano is backed by the extremely thoughtful bass work of Sam Jones and drums of Al Harewood – on tunes that include "Up In Cynthia's Room", "C Jam Blues", "Bag's Groove", "On Green Dolphin Street", and "Lady Bird". © 1996-2019, Dusty Groove, Inc.